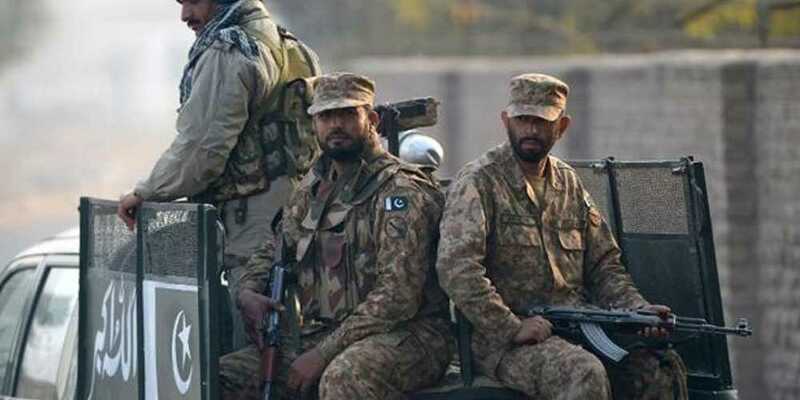 Five soldiers on polling duty were martyred as their vehicle plunged into a cliff, the military's media wing Inter Services Public Relations (ISPR) said on Wednesday. "Five more sons of soil embraced martyrdom while serving the nation during election duty," DG ISPR Major General Asif Ghafoor said on Twitter. The military spokesperson said that the soldiers' vehicle "fell 250 feet down a cliff" after delivering election material at the returning officer's office in NA-12, Battagram. "No sacrifice is more sacred than the life sacrificed in line of duty," Major General Ghafoor said. As many as three security forces personnel and a civilian were martyred while escorting polling staff of NA-271 Buleda, Balochistan on Wednesday. The military protection party was ambushed at Dashtuk, near the Pak-Iran border. The ISPR said that during the exchange of fire, three personnel were martyred while 14 were wounded, including 10 security forces personnel.